Horse racing is a cruel, predatory business. You bet, they die. The Kentucky Derby this Saturday marks the tenth anniversary of the catastrophic breakdown of Eight Belles. Racing with the boys, she crossed the wire 4 ¾ lengths behind Big Brown finishing second – the first filly since 1999 to run in the Derby — only to collapse with two shattered ankles and was euthanized on the track. Memories of Barbaro’s anguishing ordeal, fresh in the minds of racing fans and the death of another horse on Kentucky Oaks day, cast a pall over North America’s most celebrated racing event and raised questions about the safety of horse racing. 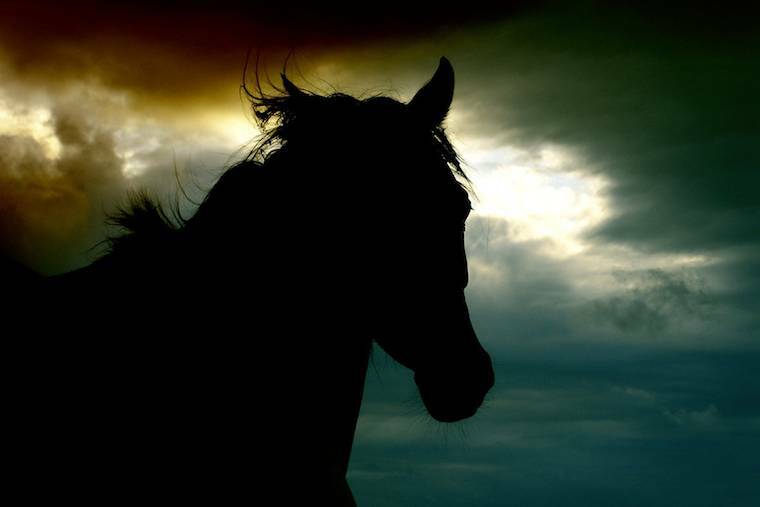 Immediately, the racing industry responded with the notion that more uniform regulations regarding equine health standards and drug use should be a top priority. Ten long years and what has improved? Nothing. Year after year, the industry holds conference after conference claiming that they are moving towards improved safety standards. Sadly, the efforts of the few that do care and want change, are lost to the greed of the rest. These innocent souls are sacrificed to casino profits, graded races and when they fail, relegated to claiming races and the slaughterhouse. It is estimated that 20% of slaughtered horses in North America are thoroughbreds — some picked up by the meat man at the track by unscrupulous trainers and owners after a bad race, without a hope of finding a home. Disposed as garbage. Just throw-away items. In fact, it seems the opposite to what the racing industry claims has happened. The transparency, if there ever was any, is gone. The doping continues, the trainers and veterinarians are one step ahead of the newest drug testing, the records available about trainer infractions are incomplete where serious penalties are hidden from the public, statistics only report deaths if a horse dies during a race, and horses, despite what the industry claims, continue to die in record numbers, all hidden from the public’s view. All of this is a cover up, blatant lies, to attempt to convince everyone that the industry is above board.